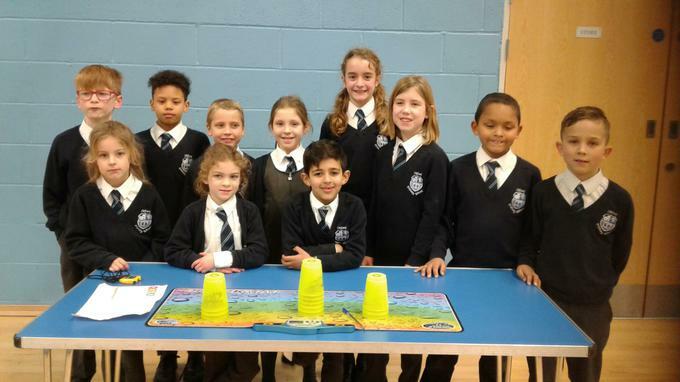 On a snowy, cold Thursday 12th of January, 12 children from Year 1 to Year 6 demonstrated their amazing hand-eye co-ordination by taking part in a Speed Stacking Competition at Knole Academy. They were required to take part in 3 different events: The 3:3:3 and the 3:6:3 individual events and the3:6:3 team event. All gave it their best effort, achieving some personal best times. Special mention to Eden Roberts who achieved the fastest time in her age group for both her individual events. Thank you also to all the parents for your support.